Receiving recognition for a job well done can be one of the highest honors. For Indiana State University's Bayh College of Education Dean Brad Balch, accepting a prestigious award from his peers made his acceptance of the 2012 Indiana Association of School Principals (ISAP) President Award priceless. Brad Balch received the award on Nov. 18. The award is given annually, "to an outstanding leader in the field of education who has a made a positive impact on the lives of students in Indiana," according to the association. Balch attends the association's annual banquet to support of the state's principals. When the announcer called his name for an award, he was surprised. "Recognition such as this is never the reflection of any one person," he said. "This award was really a reflection of all that goodness that exists in Indiana and the leadership that we provide to Hoosier students." One thing that made this award extremely special for Balch was that principals selected who should receive the award. "It meant so much to me that my principal colleagues would think enough of my contribution to recognize them," he said. Balch served as a principal at an elementary and middle school, but he said his greatest joy came from being in the classroom. He said that he "tried to spend as little time behind the desk," because he believed his days were defined by the interactions he had with students, teachers and staff. 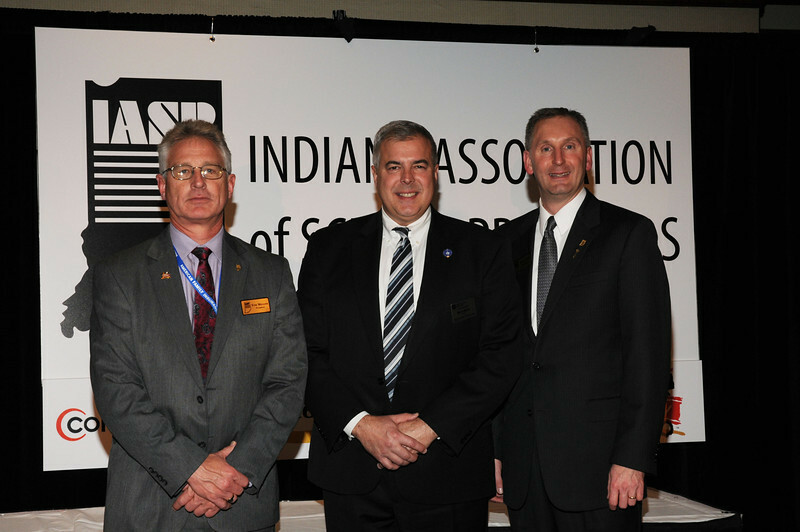 Photo: http://isuphoto.smugmug.com/photos/i-drwC2fr/0/L/i-drwC2fr-L.jpg - Brad Balch (center), dean of Indiana State University's Bayh College of Education, poses with Todd Bess (left), executive director of the Indiana Association of School Principals, and Tom Mellish, the association's president. The Indiana Association of School Principals has presented its Presidents Award to Brad Balch, dean of the Bayh College of Education at Indiana State.